The persona, as Jung describes it, is the mask, or face, that we present to the outer world. It is a necessary aspect of our personality and what is called for as we deal with work, friends, family, and society. However, the persona can also impede our being authentic to ourselves and others. Being authentic, or having a true Self, means being free to be spontaneous and to live out our life values with integrity. Alternatively, according to British psychiatrist D. W. Winnicott, having a “false self” (often the result of childhood wounds and inadequate parenting) prevents us from feeling real, contained, and individuated and from realizing our full creative potential. This false self: when our persona permeates our entire life it creates the need to be all things to all people. Pleasing others becomes paramount, and we live our lives according to the needs and dictates of others. Nevertheless, a persona need not be something negative; we do not mean that one should have no persona. An appropriate persona is what is required of us in our work, our lives, and our relationships. The danger often lies in what Jung termed an “overidentification with the persona,” when one loses track of being distinct from what we show the world—when, so to speak, we start believing our own press notices. When this happens, the result can be a breakdown of the ego. In this context, Jung describes the “need for restoring the persona” in order to heal. The challenge we face is to maintain a suitable persona and yet be authentic, real, and genuine to our true Selves. We need an appropriate persona while, at the same time, remaining true to what Jung calls the Self. Being authentic comes from being able to successfully balance and be true to both aspects of ourselves: persona and true Self. Authenticity requires a continuous effort to become the most honest possible aspect of ourselves—or, as Shakespeare put it, “above all, to thine own self be true.” A vibrant, continuous dance between persona and true Self results in a life of authenticity. During our weeklong seminar, through a combination of presentations and workshops led by outstanding analysts and authors, we will explore and learn what is called for in order to dance the dance between persona and true Self. If we are successful, it will help us attend to our inner, meaningful values and find contentment in our work, play, and relationships. Jung believed that we have a compulsive urge toward individuation: an irresistible drive to become whole. We tend to identify this urge primarily with the realization of our true selves, free of external interference. But another essential aspect of individuation—our need for connection and community—requires us to use a persona, a mask representing a limited part of the true Self. While our true Self is the greatest gift we can offer the community, and real community supports us in realizing our true Self, we often experience a conflict between the two. During the course of this workshop, we will explore the pitfalls and possibilities of persona and true Self, which will help us more clearly identify our calling through journaling, small group discussion, and exercises designed to build conscious, complementary relationships with these powerful forces. 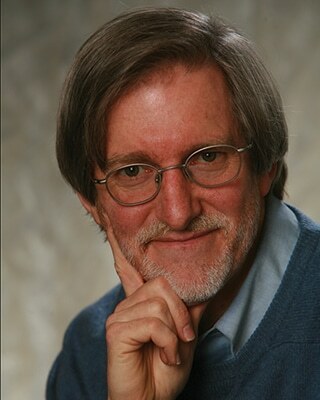 Gary Trosclair, DMA, LCSW, is a Jungian analyst in private practice in New York City and Westchester County, NY. He is president of the New York Association for Analytical Psychology and serves on the faculty of the Jung Institute of New York. He is the author of I’m Working On It in Therapy: How to Get the Most Out of Psychotherapy; and of the blog The Healthy Compulsive Project. His new book, The Healthy Compulsive Project: Taking the Wheel of the Driven Personality, will be published this year. Often people fall into depression or anxiety because their sense of Self—their Self-image—no longer seems real, accurate, or trustworthy. Their “Self-portraits” no longer look like them; their personas feel brittle and their connections to Self are murky. We can see many of the communications in an analytic session as Self-portraits. By placing the various pieces of these communications next to one another, over the course of an analysis, we gain a lived portrait of the whole. Analysis offers a mirror, a possibility to face oneself, and a model of the courage and willingness required to experience one’s Self anew, with the hope of true reflection both outwardly and inwardly. During the course of this workshop, we will come to understand “Self-portraits” as art and icons of the profound experience of looking deeply at one’s Self. The workshop will help us move from the theoretical to the experiential. Using various materials and media, participants will explore Self-portraiture with language, drawing, and collage. This exploration will not be about making art but rather about Self-expression. 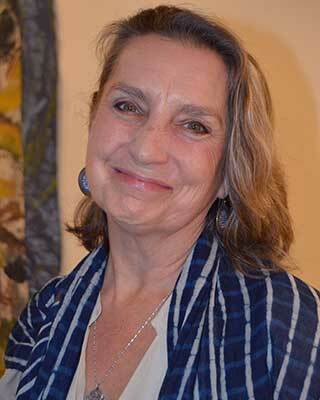 Margaret Klenck, MDiv, LP, is a Jungian analyst in private practice in New York. 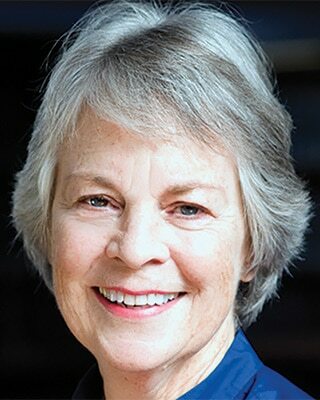 A graduate of Union Theological Seminary, she is president of the Jungian Psychoanalytic Association in New York, where she teaches and supervises trainees. Ms. Klenck has lectured and taught nationally and internationally. 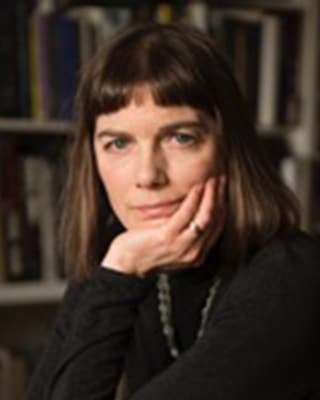 Her most recent publications are two books in which she is a featured interviewee: Visible Mind: Movies, Modernity and the Unconscious, by Christopher Hauke; and There’s a Mystery There: The Primal Vision of Maurice Sendak, by Jonathan Cott. Before becoming an analyst, Ms. Klenck had a 20-year acting career, appearing on stage, television, and film. Being Authentic: Where Are We to Be Dancing? If we get stuck in either pole of the polarity between personal and true Self, trouble results. “True Self” becomes reified and a dead-making obligation. “Persona” becomes reduced to fakery, a cover-up, robbed of its space-making capacity. We lose the aliveness of the dance between them. Using Jung, Winnicott, and Heidegger, we explore each pole and their interpenetration, only to be surprised at how deep this takes us, even to experience of God, or what we put in God’s place. As we develop in life, we often feel pressures from our culture to conform in various ways that clash with internal drives and desires. Navigating this conflict is often a defining task in one’s life. In a combination of presentation and workshop, Dr. Goodwyn will help us look across a wide range of approaches to this universal challenge, ranging from biological to cross-cultural and beyond. 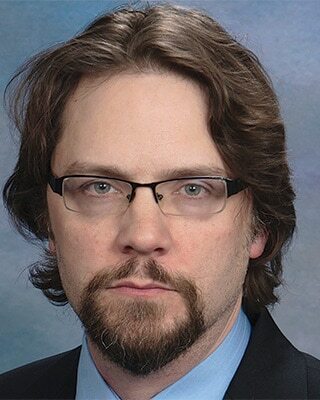 Erik Goodwyn, MD, holds bachelor’s degrees in physics and mathematics, a master’s in anatomy and neurobiology, and a medical degree from the University of Cincinnati. Currently on the faculty of the University of Louisville in the Department of Psychiatry, Dr. Goodwyn is the author of The Neurobiology of the Gods. An officer in the US Air Force for seven years, he has researched and written on the dreams of soldiers in combat zones as well as authored articles combining archetype theory with cognitive anthropology. The word “persona” is derived from the root “sonar,” or the voice tube that connects the mouth of the actor with the mouth on the actor’s mask. The actor speaks through the mask, but the voice belongs to the Soul of the performer. Each one of us must speak through the masks we wear so that we can adapt to the outer world, but we must speak from our Soul to be true to our inner Self. The challenge we all face is how to balance these competing demands of outer adaptation with the need to be true to our Self. Through presentation and workshop, Dr. Bedi will help us understand how a “Rosetta Psyche” within us is mediated by the archetype of the Divine Tricksters: Hermes and Krishna. This Rosetta phenomenon will be explored from neuroscience, kundalini, and analytical perspectives. Ashok Bedi, MD, Jungian psychoanalyst and board-certified psychiatrist, is a member of the Royal College of Psychiatrists of Great Britain, a diplomat in psychological medicine and Distinguished Life Fellow of the American Psychiatric Association. Training analyst and faculty member of the Jung Institute in Chicago and in private practice in Milwaukee, Dr. Bedi is the author of many publications, including Awaken the Slumbering Goddess: The Latent Code of the Hindu Goddess Archetypes; Retire Your Family Karma: Decode Your Family Pattern and Find Your Soul Path; and Path to the Soul. Using movement and imagery from nature, Dr. Bresciani will help us tap into the rich, primary authority that lives within us to find our personal authenticity. Jeanne Bresciani, Ph.D., is Artistic Director of the Isadora Duncan International Institute and director of its Certificate Program in Myth, Movement and Travel. Former faculty member at New York University, she has lectured, performed, and led workshops internationally, including at the British Museum, the Delphi Museum in Greece, and New York’s Lincoln Center. A former Fulbright Scholar, she performs internationally and is a choreographer and creator of festivals, specializing in dance, myth and movement studies. Within a moving yoga practice we bring embodied anatomy to life so that each individual has a felt sense of their authentic being. In this way we can trust our natural body’s intelligence to honor what we need in any given moment. These classes balance developing strength and flexibility of body-mind with relaxation into alignment with who and where we are in this present moment. Patrice Heber is a somatic movement therapist and yoga instructor who has been teaching in the field for over 25 years. She is a certified practitioner of Body-Mind Centering and a certified yoga instructor and has taught in the US, Europe, and at Naropa University. Her work is influenced by her studies in cranial-sacral therapy, polarity therapy, authentic movement practices and her early training as a dancer. She is a senior meditation instructor in the Shambhala Buddhist tradition. 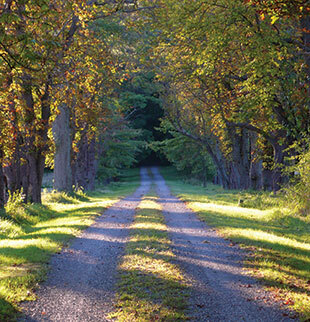 She maintains a private practice in movement therapy and bodywork in the Hudson Valley.